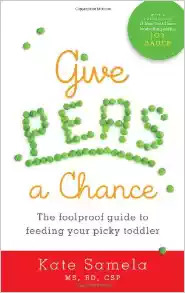 One of the most common parenting struggles is how to feed a picky eater. You’re probably here because you did a google search seeking information about how to get a picky eater to eat. You are not alone. The bad news is that you cannot–and should not–force your child to eat what he or she doesn’t want to eat. The good news is that most children eventually grow out of their picky eating habits and become willing to try a variety of foods. A word of caution: If your child has an autism spectrum disorder (ASD) and/or sensory processing disorder (SPD) or food allergies or intolerances, he or she may always have an aversion to certain foods and textures. Work with your child’s pediatrician to discover the most nutritious way to feed your child while taking into account his or her special needs. 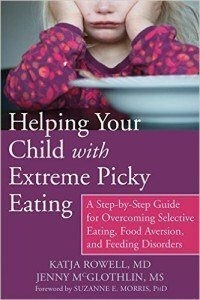 This blog post is not about feeding picky eaters with special needs and if you find that the suggestions offered here do not work for your child, please consider that your child may have special needs that should be addressed. 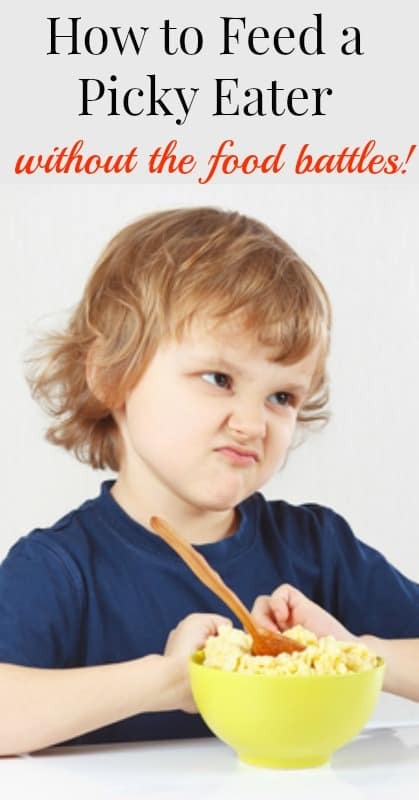 Toddlers and preschoolers are notoriously picky eaters. The best way to get through this season of your child’s life is to get used to it and stop sweating it. They are still experiencing many foods for the first time and can be easily turned off by new tastes and textures. This is completely normal. What can you do during those years to ensure that your child is getting enough nutrition? First, realize that the survival instinct is strong and your child will not starve him or herself. Secondly, offer healthy options only. Sometimes you may find that your child, who wasn’t hungry enough for broccoli and chicken, is hungry enough for cookies. Not a surprise, right? It is your job to offer only the healthy stuff if your child will easily consume junk instead of wholesome food. If your child is under the age of 7-8, expect that he or she will simply refuse to try new foods. My oldest son refused to try new foods until he was around 8 years old. Suddenly, he loved broccoli, he would ask what was for dinner and became excited to try new things. By 10 years old he was willing to try anything I made and enjoyed giving give each dish a star or number rating as if he’s a restaurant critic. In fact, at this age he wanted to be a chef when he grew up! Recently, when I made jicama-pear salad for the first time and couldn’t figure out what it was missing, my 9 year old stepped up to give it a taste test and offer suggestions on what the salad needed to round out the flavors. Think of your child at this age as having a discerning palate and his or her refusal to try new things will be easier to take. Again, offer healthy foods as often as possible and make a deal with your child to have his her favorite at least twice per week. Do not engage in food battles with your child. It’s a waste of time and relationship. If your little one won’t eat what’s for dinner, keep easy, healthy foods on hand that they can make themselves. Don’t play the “just take one bite” game. Don’t wrap up dinner and serve it for breakfast. But, at the same time, you don’t have to cook two or more separate meals. Just keep quick, healthy options on hand for those times when dinner doesn’t appeal to everyone. When my sons went through their picky-eating phases, they eventually got tired of making their own sandwiches or heating their own soup and decided to eat what I had already made. They knew they had options, but sometimes choosing an option that required them to prepare their own dinner wasn’t worth it. Keep portion sizes small. Your child’s stomach is about the size of his or her fist. Put tiny amounts of food on your child’s plate. Make sandwiches out of one slice of bread folded in half. Invest in tiny bowls for soups and stews. If you’re serving more than a fist-sized amount of food to your child and then insisting that he or she clean his or her plate, you are teaching your child to overeat. The meals that my boys helped to plan and prepare were the meals that they were most excited to eat. We solved our picky-eating problem and taught the boys life skills all at once! Recommended: Is Attachment Parenting Ruining Your Life? Make eating fun. A little playful parenting goes a long way. (Which is great news, because I generally stink at playful parenting, although I believe the value of it is very high.) Here are some great ideas for making eating fun for your children. Eat outside when the weather permits. Incorporate bento meals when possible. Use fun colored dishes and utensils. Play “Man vs Food”, which was a favorite game for my middle son. Play the copy-cat game, where your child gets to copy what you do and wins a small prize (five extra minutes tacked onto bed time, a new bathtub toy or a small amount of money ($.25, for example) if he or she can copy your every move for 3-5 minutes. When you take a bite, your child takes a bite. When you take a sip, your child takes a sip. When you wipe your mouth, your child wipes his or her mouth. 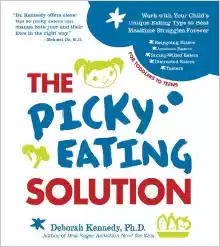 In conclusion, feeding a picky eater is a common parenting issue and among the most frustrating. Food battles are unproductive and harmful to your relationship with your child and his or her relationship with food. Give it time, make it fun, have only healthy food choices available and be mindful of portion sizes. 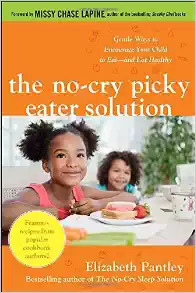 Be assured that many parents of picky eaters have found that their children eventually outgrow their disdain for new foods and eventually become varied, if not adventurous, eaters as they get older.